Susan Nell Rowe concentrates her law practice in the area of employment law, including counseling, advice, and the litigation of employment claims. 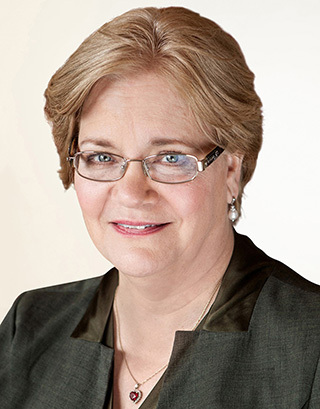 Ms. Rowe has practiced in the area of employment law since 1991. Prior to opening her own firm, Ms. Rowe was a partner at The Lowenbaum Partnership, LLC, a regional employment law firm. Before joining Lowenbaum, Ms. Rowe was a partner at The Stolar Partnership, LLP, where she served on the Firm’s management committee and as a member of the Firm’s Employment Law Group. Ms. Rowe has significant bench & jury trial experience in employment law. An ongoing part of her practice includes the drafting of employee handbooks and policies, counsel and advice on human resources and employment matters, corporate compliance, and manager training on a wide variety of topics. Ms. Rowe has represented a wide array of national, regional, and local employers in health care, restaurant, hotel, distributing, manufacturing, automobile, retail and publishing businesses, as well as local governments and non-profit organizations. In addition to serving as management counsel, Ms. Rowe has been selected to serve as the mediator in over fifty employment claims. Ms. Rowe was recognized in Best Lawyers in America, Labor and Employment Litigation, and in Missouri and Kansas SuperLawyers. She is a co-author of the “Prohibition Against Sexual Harassment,” a chapter in the 2008 Missouri Bar Desk Book on Employment Discrimination. She is a member of the Bar Association of Metropolitan St. Louis and the Women Lawyers’ Association. She is a past recipient of the Woman of the Year Award of The St. Louis Daily Record and the R. Walston Chubb Award from Legal Services of Eastern Missouri, Inc. She received the Distinguished Young Alumni Award from Washington University in St. Louis, where she serves on the law school’s National Council. She has served on several non-profit boards, including The Deaconess Foundation, Eden Theological Seminary, and Legal Services of Eastern Missouri, Inc.
Ms. Rowe received a joint degree in law and social work from Washington University in St. Louis, and her undergraduate degree, in psychology, from The University of North Carolina at Chapel Hill. Recipient of Woman of the Year Award of St. Louis Daily Record and R. Walston Chubb Award from Legal Services of Eastern Missouri, Inc. Served on several non-profit boards, including Deaconess Foundation, Eden Theological Seminary, and Legal Services of Eastern Missouri, Inc.